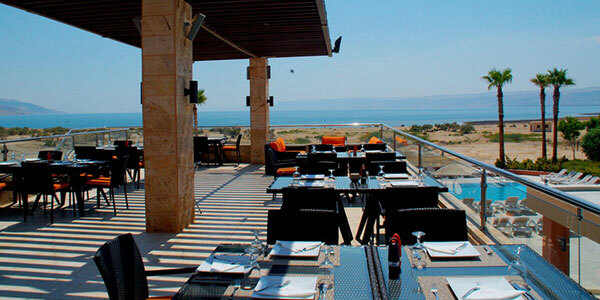 With two alluring restaurants and bars, Ramada Resort by Wyndham Dead Sea is a culinary destination that reflects the culture of our fascinating city. Savor delicious international dishes and authentic local cuisine in uniquely designed atmospheres that offer breathtaking views. 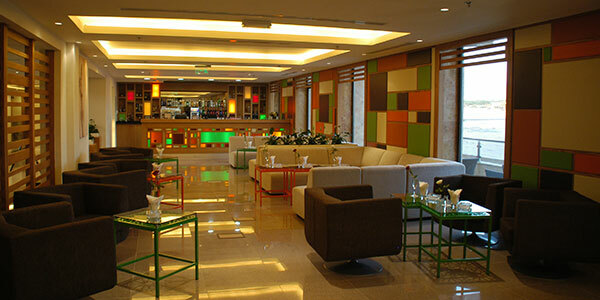 Enjoy drinks and light fare in the stylish, modern setting of Chillax Lobby Lounge where socializing comes easy. Savor Lebanese food at Sunset Terrace, or enjoy a refreshing drink at the pool bar with stunning vistas of the sea. Sunset is our seasonal rooftop restaurant for indulging in mouthwatering Lebanese and Mediterranean cuisine. Enjoy dinner with family and friends or meet business colleagues for authentic local cuisine that celebrates the culture and spirit of our beautiful city on the Dead Sea. Enjoy delicious food on the outdoor rooftop with sweeping views in a modern, yet casual outdoor ambiance. Enjoy casual all-day dining at Elements, serving a delicious buffet and creative ala carte menus for breakfast, lunch and dinner. Savor local and international cuisines, prepared to perfection by our master chefs and enjoy lovely garden views. 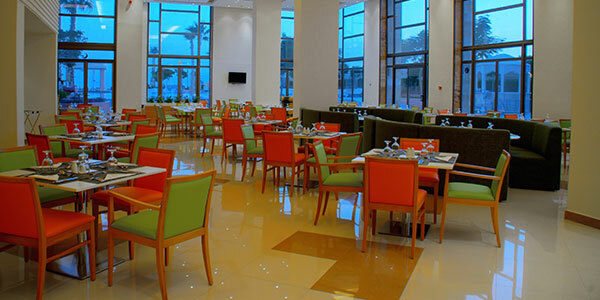 With its modern design and serene atmosphere, Elements provides an inviting culinary experience for all five senses. Relax, meet friends and enjoy signature cocktails at our Chillax Lobby Lounge. Sip refreshing drinks in the modern, inviting atmosphere just off our lobby. Stop in for a morning coffee, afternoon tea or evening cocktails and enjoy delicious light fare and snacks. Gather with associates and make new friends, while relaxing or checking email in the laid-back ambiance that elevates your state of chill. 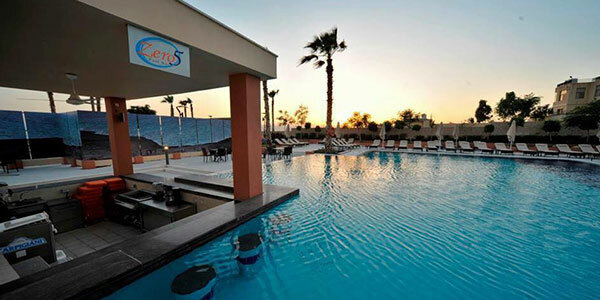 Reflecting the modern, yet casual feel of Ramada Resort by Wyndham Dead Sea, our Zero 5 Pool Bar is a relaxing oasis where you can sip refreshing drinks and soak up the views. Our poolside bar serves delectable light fare, snacks and beverages surrounded by the gentle breeze of the Dead Sea. Savor a cool drink, while enjoying an energizing social experience around our sparkling resort pool.